Arterial stiffening, especially of the large elastic arteries, is a fundamental vascular aging trait, which is, however, accelerated in the presence of genetic and environmental factors. 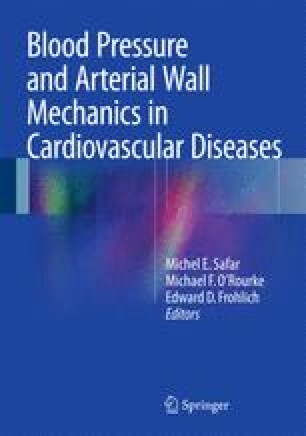 It is an early marker of subclinical arterial disease but also a well-established biomarker of clinical cardiovascular disease events and cardiovascular disease mortality. Preventive strategies calcium channel blockade and allopurinol, a careful individualized de-stiffening strategy on the basis of sodium balance, in combination with the renin–angiotensin system blockade, appears to be the currently available optimal strategy.